Get ready for the 19th Annual Run Of Luck 7K! March 16th, 2019 – ran entirely on West Franklin Street! 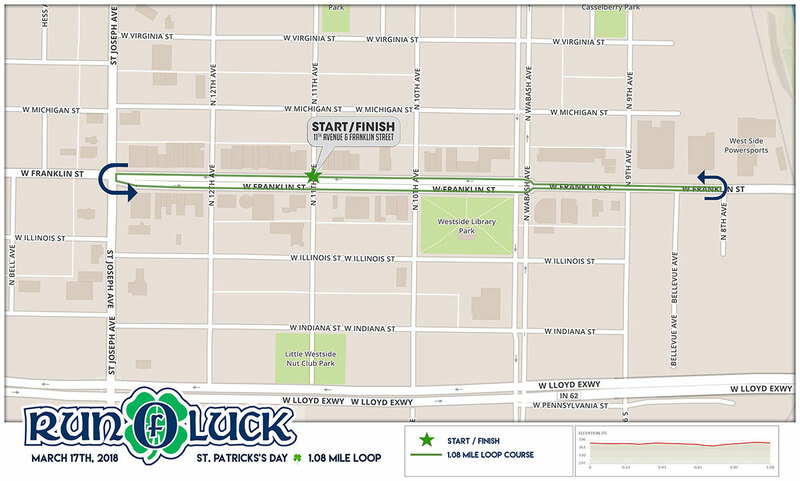 Evansville’s original St. Patrick’s Day race carves out a 7K course through Evansville West Side. Don’t miss out on this unique and festive community running event. 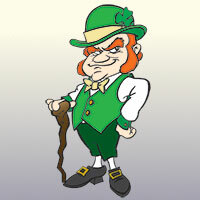 Be sure to wear your best Paddy’s Day green… three $100 cash prizes for the best! And the $1000 Pot Of Gold giveaway is back – one LUCKY participant will win $1000 cash! Must be present to win. Only $25 for registration by 1/1/19. $30 after that. Proceeds from the Run Of Luck go to support the Evansville Firefighters Fund. Did someone say post-race beer? Yes, please! Join us for the after-race party at Pistons!